BUTTERFLY COLLAGE 3-D WALL ART home decor, jewelry, decor, decorations, electronics, fountains, floor mats, art glass, vases, garden essentials, fireplace screens. 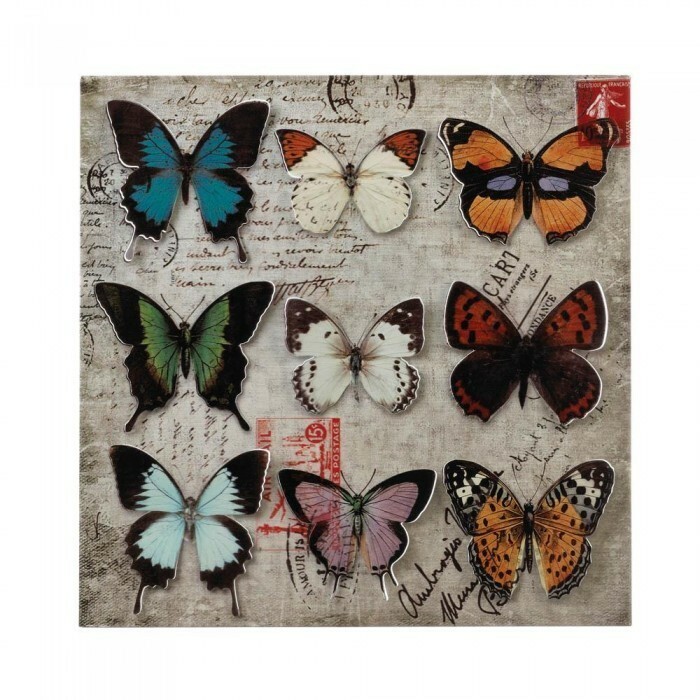 Nine beautiful butterflies, with vividly colored cutout wings and perfect poise, are on display for you. This iron wall art features a postal backdrop. Material(s): IRON. Weight 2.0 pounds. Dimensions 15.9" x 0.875" x 15.8".